Your favourite stars are feeling spendy this week, with some seriously luxurious properties trading hands. From Jessica Alba’s “Hamptons on the West Coast”-style mansion to Zac Posen’s classic Manhattan masterpiece, check out this week’s newly bought and sold celeb real estate. BOUGHT: Honest Company founder and actress known for Good Luck Chuck and Sin City (though early millennium classic Never Been Kissed will always be our favourite), has plunked down some serious dough on a Beverly Hills home. Built in an east-coast “Hamptons” style, this gated estate includes a two-storey guest house, three-car garage, and plenty of privacy. It also has a massive luxurious master bath with separate spa, which we’re sure the busy mom of two and entrepreneur will enjoy soaking in after a long day. FOR SALE: Blink 182 drummer Travis Barker is looking for a change of scenery, listing his L.A. home. The four-bed, four-bath home is full of unique, modern details, including a retractable glass wall separating the kitchen from an outdoor eating area, ceiling-height fireplace in the living room, and outdoor saltwater pool. It’s described as an “innovative architectural showpiece” – and we’re sure it has excellent soundproofing, given Barker’s profession. SOLD: Icelandic crooner Bjork has finally offloaded her upstate New York home, having first listed in 2009 for $1.8 million. Along with views of the Hudson River, this home comes with plenty of history, apparently built with local stone in the late 1800’s (the era of George Washington). Located just 30 minutes from Manhattan, it also has some storied neighbours, including Al Pacino, Bill Murray, and ballet legend Mikhail Baryshnikov. 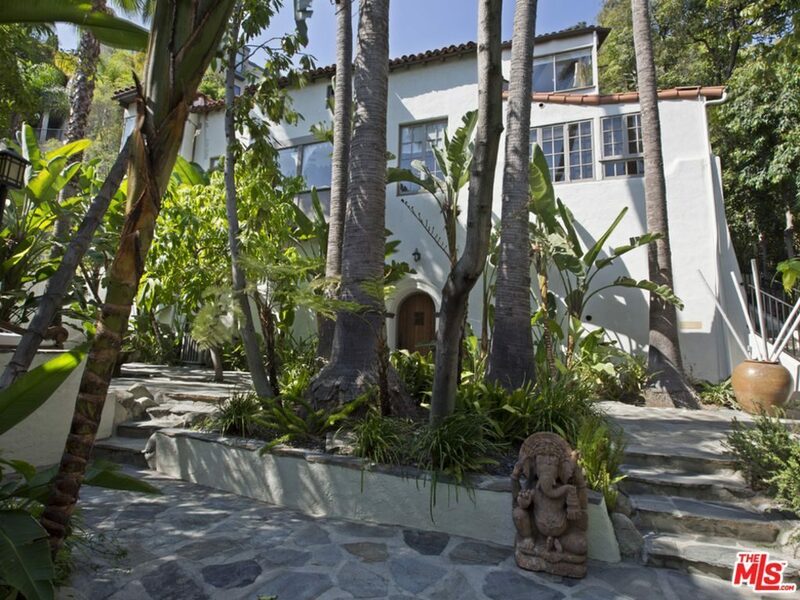 FOR SALE: The home previously lived in by How I Met Your Mother and Forgetting Sarah Marshall actor Jason Segel is back on the market. The massive lot, which includes two houses and a studio, has boomed in value in recent years – Segel picked it up for a relative song – $1.89 million – in 2010. With vaulted ceilings, panelled library, outdoor pool, bbq area and fireplace, there’s lots to love on this sprawling property. BOUGHT: Fashion designer and Project Runway judge Zac Posen has just picked up a Manhattan townhouse with lots of luxe details. Not only does it feature an 1,800 square-foot terrace with stellar NYC views, the interior boasts a Chesney marble mantle in the living room, seven custom closets, and lots of hand-painted details. Downstairs, the building offers a doorman, gym and outdoor courtyard. We have a feeling that floral wallpaper won’t be long for this world though, once in Posen’s stylish hands.